Never knew I could feel like this/Like I’ve never seen the sky before/I Want to vanish inside your kiss/Every day I love you more and more/Listen to my heart, can you hear it sings/Come back to me, and forgive everything/Seasons may change, winter to spring/But I love you until the end of time. 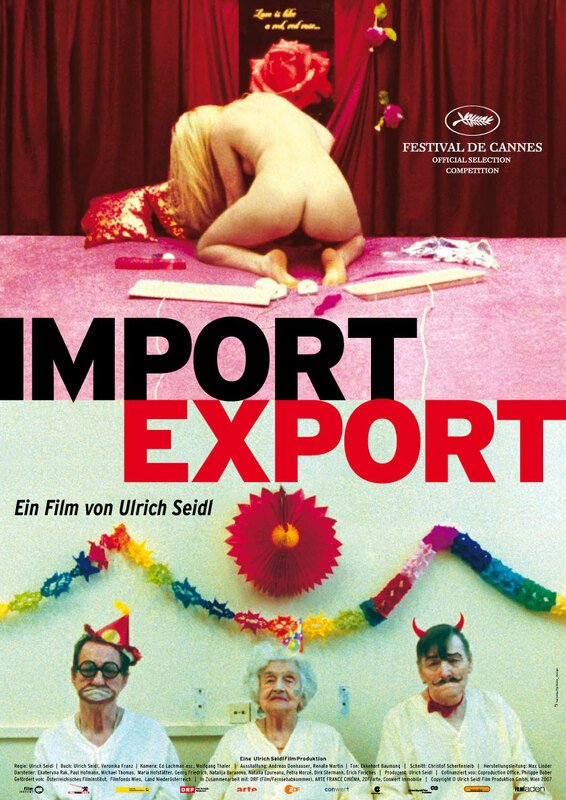 Import/Export (Austria, 2007) – Olga is a nurse who lives in a small apartment with her mother and her baby in Ukraine until she decides to move to Austria alone. Pauli is an unemployed austrian man who decides to move to Ukraine. They have one thing in common: to pursue a better life. In the beggining of the film, the camera documents Olga’s daily life, and then exchanges to Pauli’s. East and West look so similar that it’s hard to distinguish one from the other, except from one small detail like language. When the roles are inverted and each of the protagonists start living a new reality, the similarities are even more frightening. Olga begins a journey of one unpleasant job after the other, ending up as a cleaning lady in a institution for old people. Pauli joins his step-father in the extra company of booze and young prostitutes. In both worlds, human relations are dominated by coldness, indifference, jealousy and despise. Olga’s daily winter walk to the hospital she worked in Ukrania was tough, but much colder is her new life in Austria. I praise the film’s critical idea in embracing two characters in order to show how different worlds at the first sight might have so much in common, however, I’d rather see one single film about Olga, as Pauli’s story wasn’t as appealing. Most of the time I wished the attention was directed to her, wondering more about her life and thoughts. It never happens, one will never know about her past, but can guess what’s left in her future. The film ends without quite ending, without giving a solution or making judgements, and in this sense, it’s clearly pessimistic. I have recently read Blindness (Ensaio Sobre a Cegueira in the original portuguese title) by José Saramago, and I was speechless, although completely moved by the honesty of his words. It’s not every day one embraces a contemporary author and doesn’t want to let the book go for a second, I literally slept with it and woke up with it by my side, allowed by a temporary sedentarism of my life. It’s one of the books that you try to read slowly, so the pages will last longer that you can enjoy it for one more day, although you wonder so much about that world and those characters that you can’t help swallowing one line after the other until you’re completely done with it, and that makes you sad. Then, of course, you wanna know everything about the author, and read more by him. When the reading was complete, it was time to reflection, and even now I find myself thinking about us, the human race. I have no quotes from the book to share, as I read the original in portuguese, but there’s a trailer above from the movie adaptation, which opens soon in some countries. 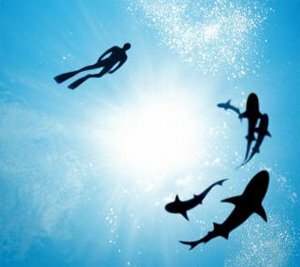 A documentary film that shocked me deeply, Sharkwater, should be distributed in every single place of the world. I don’t know where I have been, or perhaps, how the media has been irresponsible for “hiding” certain facts (again! ), but it seems like 100 million sharks are killed a year, so stupid rich people can enjoy a tasteless shark fin soup at dinner. They catch the animal, cuts off its fin, and then throw the carcass back in the ocean, so it can bleed slowly for days until its complete death. The worst of all: all this killing will affect our own very lives in the future. Sometimes I wake up and I think, how hard it is to believe we’ll be here tomorrow.